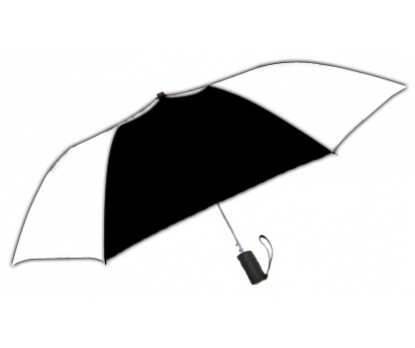 Personalized black & white 42” arc windproof vented auto-open umbrellas are very popular because black and white combination is popular and can be synchronized with most niche themes. 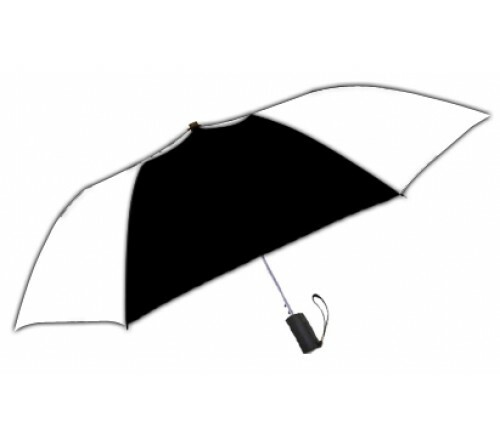 Promotional black & white 42” arc windproof vented auto-open umbrellas can be handed out as an encouragement gift with purchases or as an acknowledgement gift during some festive events. Features – 42” arc vented black & white canopy, folds to 15” long, automatic open function, windproof frame construction, matching fabric case, round metal shaft, and rubberized matching sure-grip handle. Imprint area - 4” x 6”.